Wholesale Marvel Keys. Cheap Kaba Ilco Key Blanks and Key Cutting Machines. Fits ESP, Anderson Hickey, C&K, Edwards, Haskell, Haworth, Herman Miller, Hon, Inotec, Kimball, Knoll, Korden, LSDA, Marvel, Office Depot, Office Max, Reff, Steelcase, Teknion and Unicor. The Web's Largest Online Key Blank Superstore. 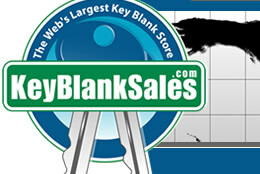 The web's largest online key blank superstore with over 1500 DIFFERENT keys. We stock residential, commercial, automotive, motorcycle, boat, airplane, truck, tractor, equipment, bit, flat steel, and safe deposit box blanks. Your one stop shop for EVERYTHING key blanks. Key blanks and key machines at Wholesale Prices.